We have an outstanding selection of handpicked holiday properties in the heart of the Lake District and with over 20 years of experience locally as well as nationally, we will help you to achieve the best from your self-catering holiday property. We have the perfect balance! We're a local expert, small enough to know your property intimately but with market-leading capability and resources of a national company. We have a great team of local, friendly and enthusiastic staff and with our two local offices we provide a friendly and efficient customer service, advising guests on property, local and travel information, and ensuring that we find the best property match for them. We always welcome our owners in our offices too, we love talking about properties, especially over a cup of tea. You can find us in Elterwater and Windermere so if you are looking for some advice and support letting your own property please do pop by. 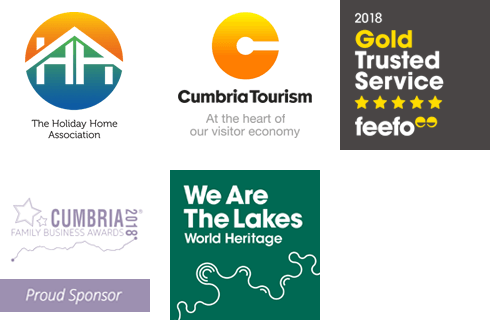 In addition to our Lake District office team there is additional telephone and website support in the evenings and on Sundays – so we have all bases well covered. As one of a family of brands owned by The Original Cottage Company Limited we have a central team of marketing, IT and accounting experts at our fingertips to help and support our local team. We use a state of the art booking system, linked to our website for online booking and live updates of availability and property information. Our website also allows property owners to review their bookings and book owner weeks themselves at any point.